Our nation as a whole has a very serious drug problem. But when we break regions down and look at them individually, it’s apparent that there are patterns of use and abuse that we must pay attention to. Maryland is no exception. Though one of the smaller states with a moderate population, has a significant heroin problem that needs to be addressed. New data shows that deaths related to heroin rose 29 percent from 2014 to 2015. Fentanyl-related deaths nearly doubled during this same time period. Government agencies estimate that one in every 10 individuals are addicted to the drug. The DEA states that the city has the highest per capita heroin addiction rate in the country. Figures vary according to the source, but it’s estimated that roughly 48,000 people in the city of 645,000 are hooked on heroin. So what’s the deal with Maryland? Why is there such a problem in this small, Mid-Atlantic state? Maryland is considered an “old heroin town.” The drug dates back to the 1950s. It’s been part of the culture for so long that it’s readily accepted and even viewed as normal. Sadly, it’s not uncommon to see some families pass the drug down from one generation to the next, almost like a rite of passage. Another strike against Baltimore is that it’s a city laden with crime and poverty. Dealing drugs is a fast way to get cash – and a lot of it. Back in the 1970s, there were a lot of industrial jobs that paid well, such as those coming from General Motors and Bethlehem Steel. When these industries closed down, it put a dent in the availability of blue-collar jobs. This fueled the drug trade immensely. At the time, Baltimore residents admitted that they weren’t going to make a few dollars an hour working at a fast food restaurant when they could make thousands hustling drugs. This mentality has carried over to today’s young people, many who are considered “street-level” drug dealers. Street-level dealers tend to move through the criminal justice system. They get arrested, serve their time and then hit the streets until they are arrested again. It’s a way of life, and it’s difficult to cut the generational ties. What’s been going on in the streets of Baltimore is devastating, but it’s no longer contained. 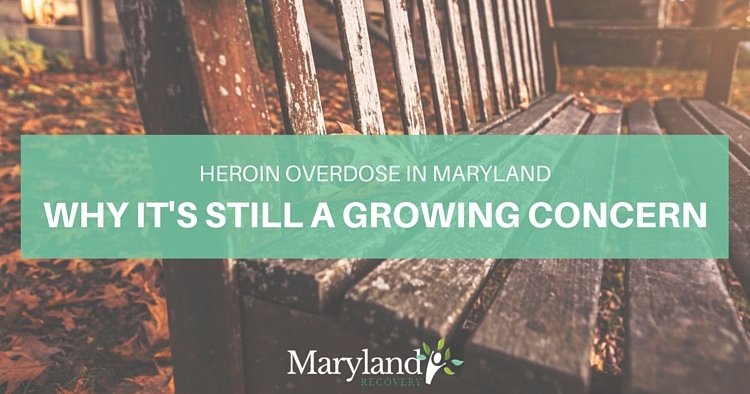 The heroin problem has expanded into the suburbs, which is why heroin has become Maryland’s problem. According to the CDC, three out of four new heroin users admit abusing prescription opioids prior to using heroin. This has prompted the state to start where they can: with prescription opioids. Maryland has implemented a prescription drug monitoring program that gives doctors and pharmacies access to the medications that their patients are taking. This is supposed to prevent doctors and pharmacies from over-prescribing certain medications and to stop patients from doctor shopping. But it’s clear that more needs to be done. How can we help people get clean and sober when they will be returning to a life of temptation? The only way to make a difference is to get people into a heroin treatment centers. They need to be off the streets and focusing on themselves so that they can get better. They need to have options when they leave treatment. They need to feel understood, valued and appreciated. Maryland Recovery is a treatment center located in Bel Air. We understand what it’s like to live where we do. We recognize that drugs like heroin are just around the corner. This makes it even more difficult to get clean, but that’s why our program is intense. We have a rigorous, three-phase treatment program that includes partial hospitalization, intensive outpatient treatment and extended care. Our clients aren’t just expected to get clean during this time but also learn life skills and therapeutic treatments to assist in the real world. Each client is given individualized attention, and our care plans can be modified as needed. We are an excellent treatment choice for those living in Maryland, as well as any of our Northeastern friends. If you or a loved one is addicted to heroin, do not be ashamed. Help is available, and there are more options than ever before. In fact, some of the best are right here in your home state. Call Maryland Recovery today to learn more. This entry was posted in Addiction News and tagged Heroin on July 5, 2016 by mdrecovery.